A sweet little gift for a Christmas stocking. 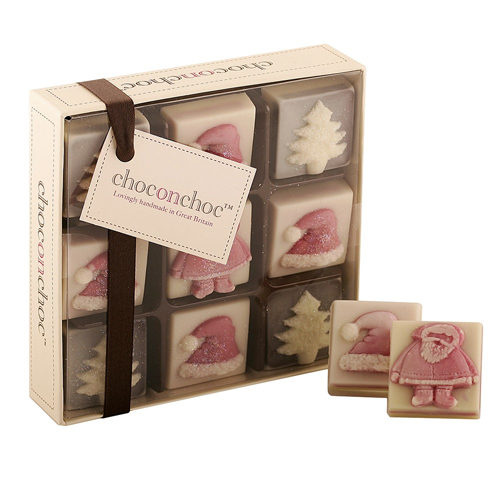 9 x handmade dark and white Belgian chocolates featuring the man himself surrounded by Santa hats and Christmas trees. They make a perfect gift or after diner treat at the Christmas table. Children will love them!